Boston’s only public high school for the visual and performing arts needed a complete redesign of their website. 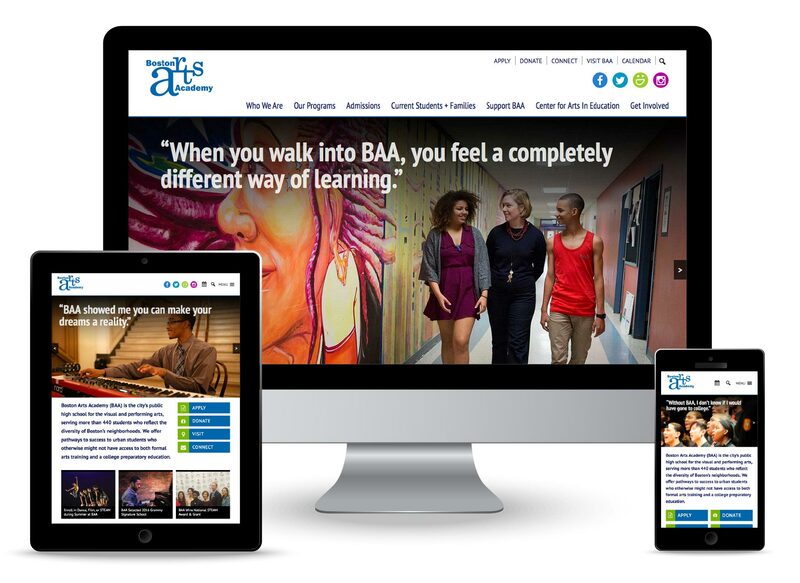 We created a custom WordPress theme that is bright, modern, easy to use, and makes generous use of strong imagery to feature BAA’s dynamic school culture. The site is fully responsive and provides maximum flexibility for user updates.